To all the Barbie fans out there, it is time to get excited! Once again Barbie has reinvented herself. This time it is with an All New-Barbie Magazine. For more than 50 years Barbie has been an icon in the world of toys and fashion. I loved playing with my Barbie dolls growing up, and so did all of my friends. Barbie inspired whole generations of little girls to want to be like her; pretty and glamorous. Since then Barbie has seen over a hundred new designs and career models, as well as DVD’s and other products. This magazine is the next step in captivating another generation of young girls. 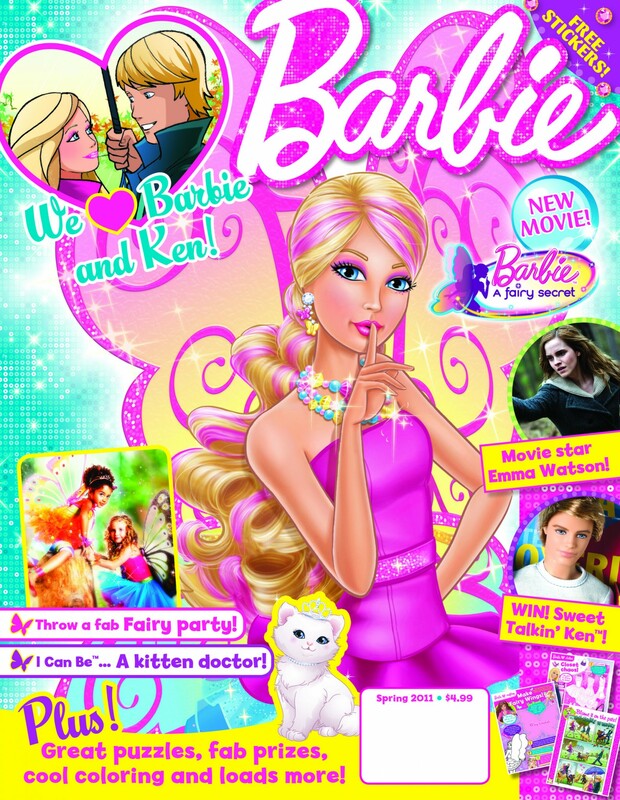 Published by Titan Magazines, The Barbie Magazine has something for girls of all ages. It has fun stories, stickers, lots of puzzles, posters, and plenty of do it yourself crafts and projects for hours of fun. It is truly an interactive magazine designed for girls of all ages. My youngest daughter loved doing the puzzles and placing her new Barbie stickers all over her room. It is also keeping her interested in reading; as she has asked me to read her the stories at night before bed. This is always a plus to me. We also like that the stories offer variety. 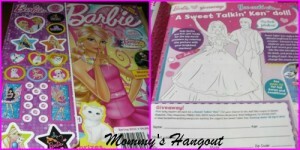 Similar to the Dora the Explorer magazine, the stories place Barbie in fun and exciting adventures that are a blast to read, but they offer an inspirational or educational aspect. I really appreciate that as a mother. Even my older daughter enjoyed reading some of the stories. There are also lifestyle features that will show your daughter how she can live like Barbie; my daughter really loved that part! under license from, Mattel, Inc. © 2011 Mattel Inc. All Rights Reserved. Now the Fun Part! 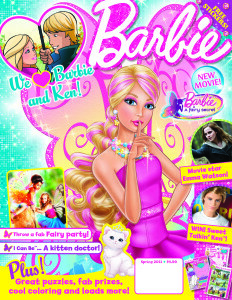 One lucky winner will win your own Copy of The all-new Barbie Magazine! To Enter Tell me who you would give your copy to! I will pick the lucky winner 6/23/2011 @ Noon EST! 1. Follow Me at @simply_unique79 on twitter. Getting your kids to enjoy brushing their teeth can be difficult at times. It helps if the process can be fun. 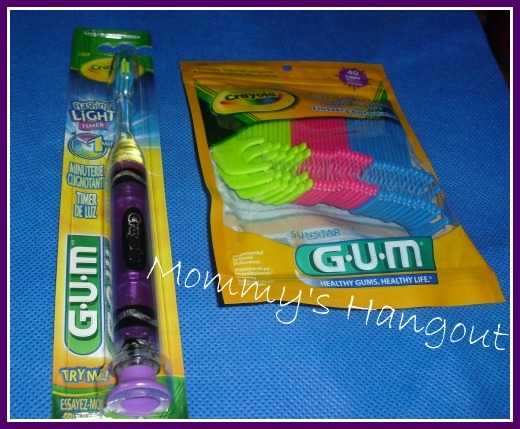 This is what I like about the Gum Crayola Timerlight toothbrush. Once activated two color coordinated LED lights, light up the entire toothbrush for 60 second intervals as your child is using it. This guides them to brush longer and get in the routine of brushing for at least 60 seconds each time; as recommended by the American dental association. My youngest daughter loves her Gum Crayola Timerlight toothbrush. She said colorful lights made it fun, and that the multiple colors were pretty. We talked about how she needs to brush long enough to do a good job removing plaque so she can always have a pretty smile. This brush guides her into good habits early. The bristles are extremely soft, and she said they felt really gentle on her teeth. The head of the brush is also smaller and narrow, which fit more comfortably in her mouth. This toothbrush was really designed with the comfort of child in mind. It also has a suction cup base which helps store it in the cabinet neatly when not in use, without any mess. With multiple colors, the Gum Crayola Brand will appeal to both boys and girls. 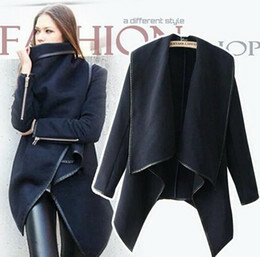 You can also visit gumbrand.com and receive 30% off any order of $10 of more, using the promo code CR30. This code expires July 15th. As a reminder, helpful guidelines for kids’ oral care can be found on the GUM Crayola YouTube Channel. Now for the Fun Part! 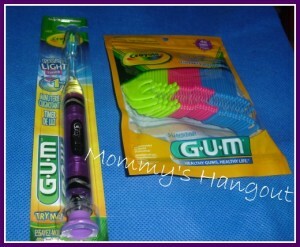 I am giving 10 lucky winners a GUM® Crayola™ Timer Light Toothbrush and pack of GUM® Crayola™ Flossers!